If you spend much time with me, I’ll eventually ask you what you think about business, taxes & investments. It’s my passion & I love it. If I’ve found a common-soul, then I’ll invariably start talking about my business, passive income, taxes or anything else along those lines. When I started my business back in 2005, the fear of failure & trying to provide for my family was my sole motivation. I pushed through the hard times and did what was necessary to take care of everybody and make sure that we had a roof over our heads. Thankfully today, things are much different. I pursue business and seek for new and challenging experiences simply because I can. Robert Kiyosaki always states that the rich don’t work for money. He also would state that you should never work for a paycheck. Back in the early years, I didn’t understand that. I do now. I’ve always enjoyed reading about all the different ways people can make money and am continually surprised at the new and innovative businesses & strategies that people employ to pursue wealth. Here are 5 of my favorite passive income ideas that any family can implement today to earn passive income and pursue life more enjoyably. 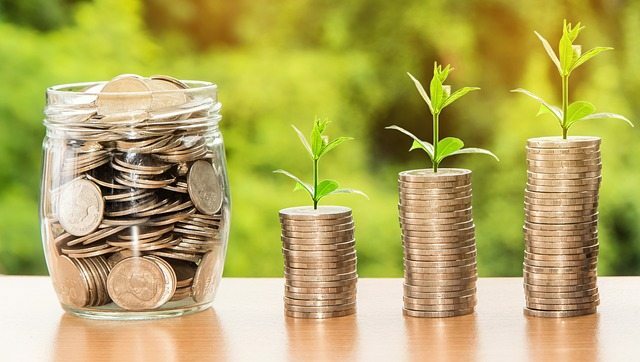 Passive income through qualified or ordinary dividends are funds paid to shareholders of stock which come in the form of cash directly into your bank account. Investors can reinvest or cross invest these dividend payments too. Dividends are never guaranteed and the stock price can always drop so you need to do your due diligence. Additionally, the taxation of dividends can be different depending on whether they’re qualified or ordinary. You’ll want to contact a tax professional to help you understand the advantages and disadvantages of these types of investments. Some debt can be good, depending on how you invest the money; especially in high tax & low interest rate environments. But even that debt can still financially kill you. For this conversation here, I’m specifically talking about bad debt. Consumer debt, credit cards & my personal least favorite – student loans. While getting out of debt does not necessarily provide passive income, it circumnavigates around the issue of how to build your wealth by reducing your expenses. Reduced expense & debt increases your cash flow & net worth. A debt reduction will hypothetically re-evaluate the placement of your funds and invest for your lifestyle or to allow you to build wealth. This one is easier said than done. However, do you journal or keep a blog? You’ve got loads of material if you do. Plus, there are a variety of sites online that can help you get started. Ever heard of Amazon? You can do a Kindle book & get royalty checks. I learned this term by listening to my favorite podcast bigger pockets. This is simply where you rent out a room in your house. Or you can buy a duplex or other multi-unit & live in one unit & rent out the others. Real estate is one of my favorite topics & I believe it can become a great investment. However, you need to do your due diligence & LEARN. If you don’t do it right – a number of things can make your life miserable. But don’t let that stop you. Get educated, motivated & take action. Rental income can be very nice. Use it to supplement your income or pay down debt. Are you young, single, married, kids, or no kids? This could be a great strategy to help you build passive income now. Owning a business has been one of the most challenging & rewarding things I have ever done. I never have regretted it but it does take a special sort of person to make it work. What I’ve learned over the last 13 years is that consistency on a daily basis will yield far greater results than anything else. Are there bad businesses and bad business ideas? Of course. If you feel like you have something important to share then I say you should do it. Approach your business model thoughtfully & try your best to remove your emotions. This way you can take criticism & make adjustments to help your business grow. Seek professional guidance & avoid spending wads of money. There are a lot of companies & people who will happily take your money with promises of lavish riches. If it sounds too good to be true…IT PROBABLY IS! The most common thing I hear is, “Joe, I could never do that! It’s too risky!” First off, I’m not telling you to quit your day job. Second, never invest a penny that you cannot lose. I met with a client recently who was thinking about investing a large amount of money in a franchise. She wanted to know if it was a good investment. I asked her how much of her original investment could she lose. She said she couldn’t lose any of it and answered her own question. Is business risky? It most definitely can be. There are and always will be risks. Do you know what I fear more than losing money? I’m afraid of lying in my bed when I’m 85 years old, staring at the ceiling in my rest home & asking, “Why? Why did I not even try?” I would be willing to lose everything 1000 times over rather than have that happen to me. How about you? The reality is that you have unfair advantages too. Don’t know what they are? Then you have to find them, build them & exploit them. I wasn’t born into a rich family, I can’t grow a beard (sad), and I’m not 6’4”. But my parents taught me how to work hard from a very young age. I was accepted to Weber State University when I was 15. I paid my way through college & made it out without any debt. These are just some of my “unfair advantages.” What are yours? Figure that out & you may be on your way to where you want to go. I think you’ll surprise yourself.